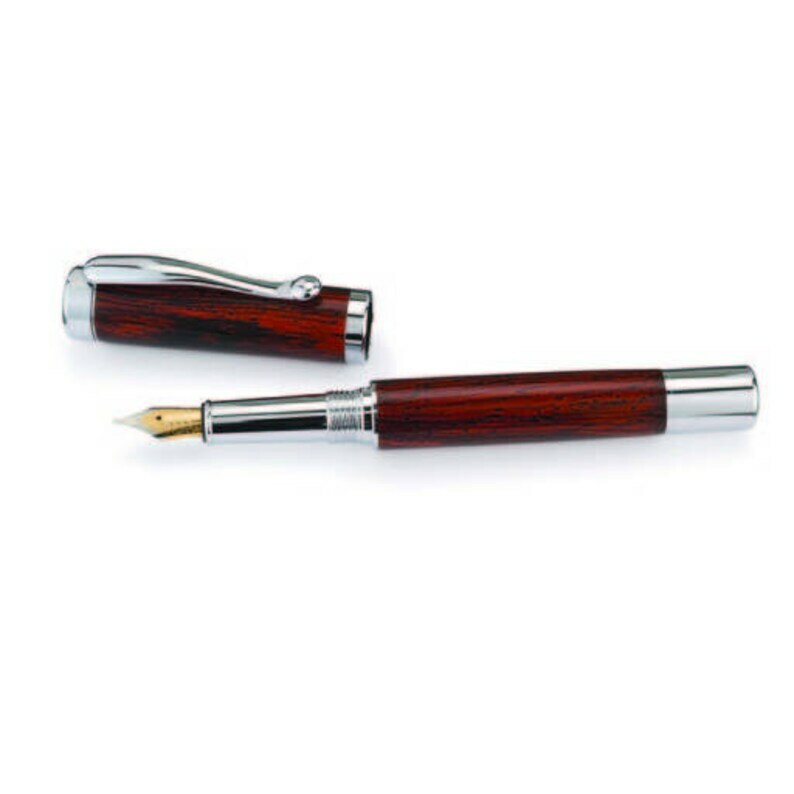 With elegance this handcrafted beautiful fountain pen will be made of premium cocobolo. Each selection of wood is handpicked and styled to bring out the beauty of the wood. We guarantee it's beauty and durability. * The fountain pen includes a black Fountain Pen Cartridge. 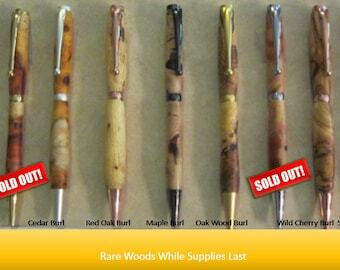 To add engraving to the pen type the text you would like engraved as a note at checkout. You can also specify any font you would like used. We support all MS word fonts. I bought this as a gift for my wife and she absolutely loves it. Could not be happier.